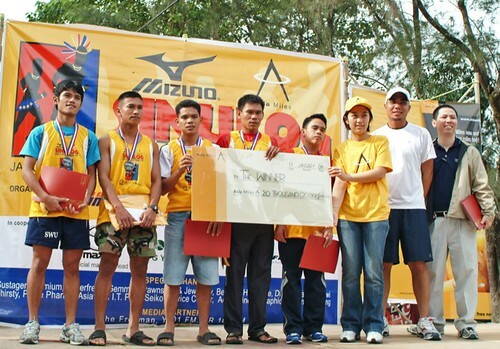 Mizuno-Asia Miles Sinulog Half-Marathon 21K Men’s winners (from left) Rogelio Reli, John Dueñas, champion Angelito Sibayan, third placer (and last year’s champion) Elmer Bartolo, Rene Desoyol, Vicky Yue of Cathay Pacific/Asia Miles, Paolo Cagalingan of Mizuno and Dennis Lu of Philam Life. 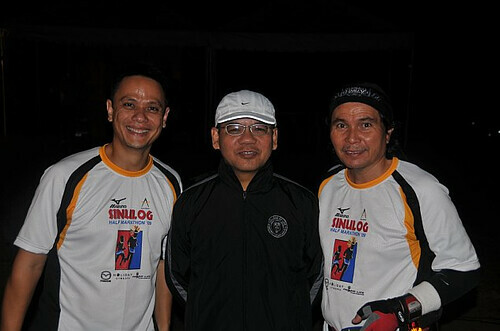 The Sinulog Run, held last Saturday (Jan. 17) at the Asiatown I.T. 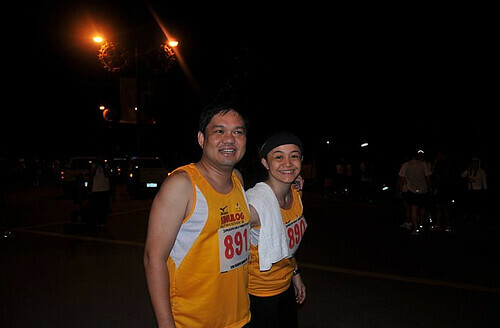 Park, drew a total of 1,223 runners. 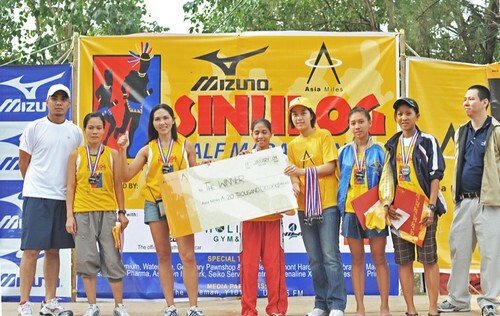 Mizuno-Asia Miles Sinulog Half-Marathon 21K Women’s winners (from left): Paolo Cagalingan of event sponsor, Mizuno; 3rd placer Madelyn Carter, runner-up Leszl Gitaruelas, champion Mary Grace de los Santos, Vicky Yue of Cathay Pacific/Asia Miles, Joeyry Ann Lee, Mischel Gilbuena and Dennis Lu of Philam Life. 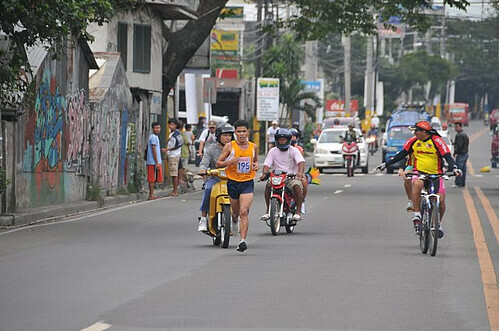 The Sinulog Run, held last Saturday (Jan. 17) at the Asiatown I.T. 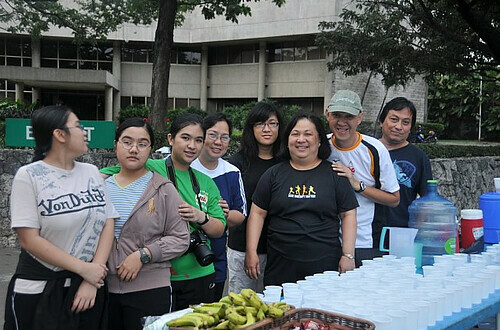 Park, drew a total of 1,223 runners. 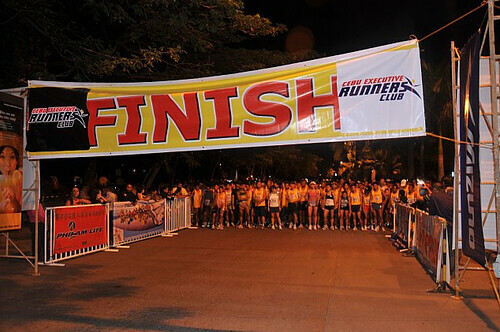 Thank you to all the CERC guys for making this year’s Sinulog Half Marathon a success, not only in participation, but also in the technical aspects. 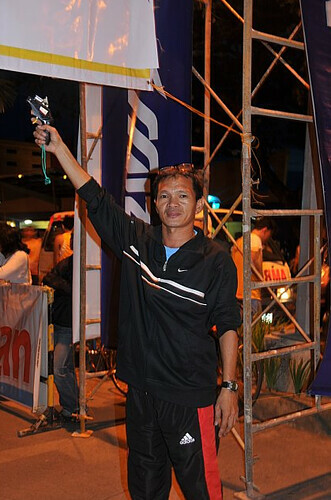 Definitely a staging of a full marathon is waiting for us in 2010! Hi. 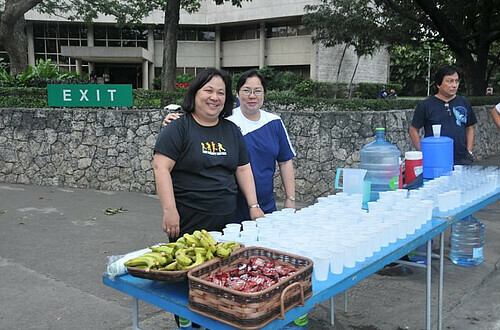 I was hoping to check out some write ups about Cebu marathon next year. I checked TBR and saw your blog. Looks like we have a few things in common, I’m also from the La Salle community (DLS-CSB) and studies near Casino Español in Kalaw (Instituto Cervantes). 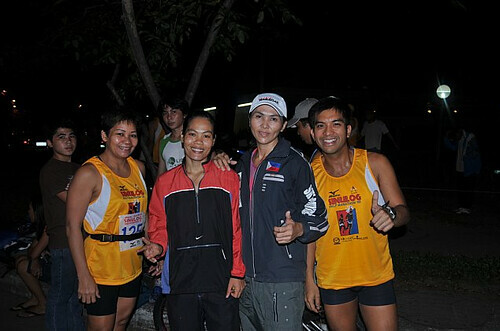 Hope to meet you in one of our races. Animo!